There are so many Canadian Grocery Stores that it can get a bit confusing trying to figure out where to shop to get quality products while saving money to stretch those grocery dollars. Then there are shoppers who don’t care about saving money because they are committed to shopping at one grocery store even if they have to pay more money for products they can pay less for somewhere else. Related: Are you a grocery store snob? When I first moved to Canada 8 years ago I had no idea about Canadian Grocery Stores let alone where to begin shopping. Grocery store prices differ from shop to shop and with that comes differences in product quality and availability. Depending on where you live in Canada you may be blessed with local markets like the St. Lawrence Market in Toronto or St. Jacobs Farmers Market in St. Jacobs. Just about every nationality has a market/shop that sells products from the homeland especially in Toronto which is great to buy hard to find products for new recipes. Outside any city you will find farmers who are willing to sell their crops to customers who stop in to either pick produce and fruits themselves or buy ready-picked which typically costs a bit more. The great thing about picking your own is that you can bring the family which tends to be an educational experience for the kids and one they likely won’t forget. If you’ve got the green thumb growing your own garden is the next best thing to organic produce when it comes to the best produce around Canada. We are fortunate living in a country that offers us so many diverse options of where to get food but Canadians continue to make their number one shopping trips at traditional Canadian Grocery Stores many of which are chain supermarkets. Canada is home to many new Canadians, landed immigrants and permanent residents many who are not familiar with grocery shopping in a new country. I was one of those shoppers who for a while looked like he was a lost boy with a shopping cart. As a permanent resident I made it a priority to learn about Canadian Grocery Stores while my wife was at work and I had spare time. I miss those days when there was nothing to do when I came home from work. Being a homeowner and a renter are two very different experiences that’s for sure. I was in charge of the grocery shopping and preparing the grocery list which I was fine with because it gave me the opportunity to explore what Canadian Grocery Stores had to offer. 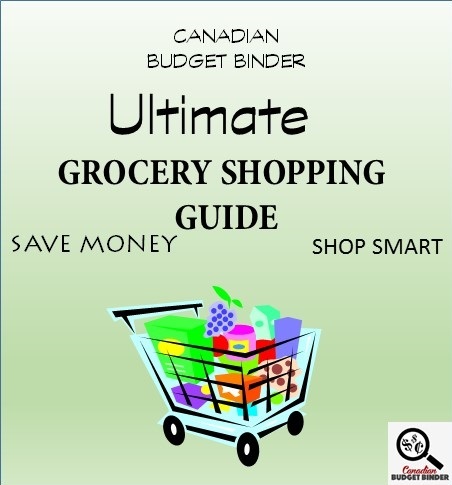 What Canadian Grocery Stores are best to shop at for budget- conscious shoppers? What Canadian Grocery Stores were in my area? What do each of these Canadian Grocery Stores have to offer? Since we were renting the lower level of a house and didn’t have our own kitchen we hated going upstairs to cook where our landlord lived. It always seemed odd cooking in someone else’s kitchen and going through their stuff. It took me about 3 months to grasp Canadian grocery shopping culture and about one year to understand product prices and the best places to grocery shop that would save us the most money. Our priorities back then were to save as much money as we could so we could put a large down-payment on a house. The savings war was won since we managed to pay our mortgage off in 5 years flat. Searching out food savings may not seem worth it to some people but for others like us it was worth the effort because the rewards are long-lasting. In the early years investigating Canadian Grocery Stores online I came across some Canadian Coupon sites where I could pick coupons that we may use and have them mailed to the house. Back then it was Save.ca, Brandsaver and Websaver that gave us the savings kick-start which we kind of got obsessed over. Thankfully we didn’t have much room so there was hardly any stockpiling going on. We managed to save lots of money by shopping at the lower-end grocery stores where prices were the best that a chain grocery store would offer. For example, shopping at No Frills is just like shopping at any other Loblaws store but without the higher prices and you can price-match. Win-win in my books. The downfall is you may not get the best quality produce but if you have time to be picky you can easily find the good stuff. Most often we buy our produce at Metro or Zehrs if it’s cheaper than Food Basics and No Frills only because they offer Grade A products. When not on sale though the prices are enough to scare your budget away but the quality is always going to be there. If you opt for organic you know you already know that you’ll pay more no matter where you shop. 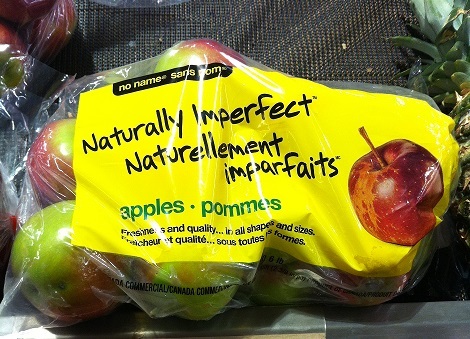 These days Loblaws stores sells the No Name “Naturally Imperfect” line of produce which are vegetables and fruits that aren’t perfectly shaped but edible. You’ll pay less just to eat an apple that has an odd shape rather than a perfectly round apple. Honestly, I don’t ever look for perfectly shaped produce but some of you may. Heck, the first place we hit is the reduced produce rack to find some bargains. 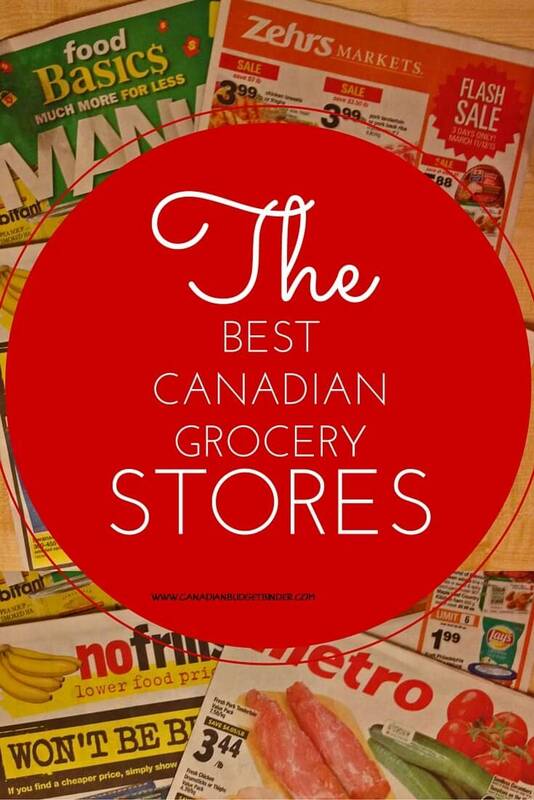 So what are some of our favourite Canadian Grocery Stores to shop at? Location dictates what Canadian Grocery Stores will be in your area to shop at so you won’t find every grocery store in each city or town. Most small towns in Ontario have Foodland which is a division of Sobeys Inc.
Prices are always higher at Foodland for example as the shop will service a smaller area, costs are higher to transport food in and stock isn’t purchased in mass quantity like the larger Canadian Grocery Stores. Still, Foodland is a great place to shop with homemade baked goods and top-notch produce and meat. Most often we find ourselves shopping at these 5 grocery stores only because they are in our area and offer us products that fit our budget. We hardly ever go to Freshco, RCSS, Sobeys or Walmart to shop since they further away from our home. If we want products from those grocery flyers we’ll price match if we have to at No Frills. Every time we drive by Costco we can be certain that the parking lot will be jam-packed. After a recent trip to Costco we realized that getting good deals were hit or miss provided you know the regular retail cost at the big box Canadian Grocery Stores. Costco is not considered a grocery store that is open to the public since you have to purchase a Club membership which is $55 a year. Canadians still enjoy shopping in bulk which means fewer trips to the grocery store. Related: Is it really worth it to shop at Costco? There are many stores that fall under the Loblaws label also known as President’s Choice stores. President’s Choice products and services have quickly become our favourite since we bank with PC Financial and have a PC Financial World Elite MasterCard which allows us to earn more PC Plus Rewards Points. Rewards programs seem to have a big influence for financially alert shoppers in Canada because they know that the savings all add up. We’re huge fans of Loblaws stores simply for products and prices whether from the lower-end No Frills shop to the higher-end Zehrs, Fortino’s or mid-range Real Canadian Super Store, Provigo and Atlantic Superstore just to name a few. If you want to learn about the full list of Supermarket Chains in Canada you will be shocked to see just how many grocery stores fall under each banner, many of which you may not ever heard of. The list below only scratches the surface but are many of The Best Canadian Grocery Stores you’ll find. Metro is the higher end store who also offers online coupons and rewards along with Air Miles. Most Metro stores have a wine shop, deli, bakery, floral shop, fish counter as well an extensive line of health products. Some Metro stores are now selling Beer as well. Food basics is a grocery store division of Metro that sells lower priced items and many of the same items you’ll find at Metro. There is no deli, floral shop, fish counter etc. but you can buy limited amounts of these products at Food Basics. You cannot buy beer or wine at Food Basics. FreshCo is a super saver grocery store so if you’re looking for savings this is a grocery store that you will want to hang out in, plus they price match. Foodland and Sobeys are the higher-end grocery stores in this division as can be Safeway. Thrifty Foods carries an array of fresh products and has an in-store registered dietitian. Thrifty may all be in the name here so shopping the sales may be a smart move. Use your Air Miles card! Your best defense to learning about grocery shopping is to click the links below and read about each store like I did when I was learning about what Canadian Grocery Stores had to offer us. These shops all sell grocery items but they also sell a variety of other items which means they aren’t a dedicated grocery store. Walmart such as is the ultimate all-in-one shop where Costco and M&M meats is for bulk shoppers. M&M meats offers a Max rewards program so the more you shop the more you save. IKEA has a small grocery selection where you can buy International products after you shop for your home. Shoppers Drug Mart a Loblaws owned pharmacy is also home to a beauty boutique, electronics department and grocery on a small-scale. The best part about Shoppers Drug Mart is the ability to get Shoppers Optimum Points similar to PC Plus Points. London Drugs is not in Ontario but if you’re lucky to live out West this Canadian Pharmacy also offers food items and you can stack coupons which means you can use more than one coupon per product as long as the UPC codes are different. The savings here are huge if you are a stacker! Both Giant Tiger and Dollarama offer food products with Giant Tiger having a bigger grocery selection along with produce, dairy and bakery items for less. You can also buy clothes and home related items at Giant Tiger. Explore your city to see what little shops you can find that are not associated with the big box grocery stores. Many of these shops are family owned and sell an abundance of homemade products or international products. Shop at the corner convenience stores and you’ll find limited grocery items and you’ll pay almost double what you would in a grocery store unless they have a sale on. I don’t claim to know everything about all the Canadian Grocery Stores since I’ve only lived in Ontario so I asked a handful of my Facebook fans what their favourites were. Most of what I’ve learned about grocery stores outside of Ontario comes from websites, the Grocery Game Challenge and you the fans! Beth Anne- Costco for quality in bulk, Thrifty Foods (a division of Sobey’s) for service, quality and specialty foods. Christine W- I would have to say No Frills or Food Basics for price. For me Foodland is the store for location but that is because it’s across the road. Pat C- My favorite stores are Giant Tiger for basic groceries and clothing and No frills for the rest. Mary C- I don’t get to shop there very often as it’s an hour away but I do absolutely love Whole Foods for the freshness and diversity in their produce section. When I was in Atlantic Canada, I adored the Halifax Atlantic Superstore and shopped there for the entire duration of our trip. Locally, I pick up my fish and seafood or bison at Bruce’s Country Market in Albion for fresh items. We use M&M Meats for frozen fish supplies. In the summer I trek out to Howard Wong’s Farm Market in Abbotsford for my locally grown produce. I don’t have a favorite chain of stores but if I am buying meat, I prefer either Safeway or Thrifty Foods when they have a good sale. Our local RCSS is regularly out of stock on advertised specials so it frustrates the living daylights out of me to try to shop there plus they don’t give rain checks. I will shop at Save Foods but not for meat – I don’t care for their supplier. I will get ham on their BOGO sales but never purchase their beef or chicken. The pork tenderloin are fine if they are on a good sale but I can do just as well at Walmart. Colleen K- Giant Tiger, Walmart, Dollarama, Dollar Tree. Price is why. Della F- My favourite store is RCSS due to price matching and it being a mid-price store. Juanita P- Sobeys, Walmart and Superstore are my staple stores here in Edmonton. But I also shop the sales at Co-op, Shoppers, Save on foods, No frills, London Drugs, McGavin’s bread basket and our local discount produce store. Everything is within a ten minute drive so we are lucky enough to have a selection to choose from. I always recommend for people to not shop during peak hours or days especially if they hate shopping. No matter where you choose to do your grocery shopping every Canadian grocery store will have their good days and bad days. That means that you will equally find higher prices, lower prices, good produce, irregular produce, excellent customer service, crappy customer service and convenience. Prices will always vary depending on where you choose to do your groceries or you can price match to cut down on travel time. Unfortunately many of the Canadian Grocery Stores don’t price match so you are pushed towards a certain shop even if it’s not your favourite. Loblaws stores allow price matching at No Frills and RCSS but not Zehrs Markets. Listen up Zehrs… we want to price match!! Overall, what I’ve learned about Canadian Grocery Stores is that everyone who shops at them does so for a reason. I also now know that each grocery store offers me something different likely part of the marketing plan to keep us coming back to grocery shop. The best Grocery Stores in Canada are the stores where you are willing to shop and that work for your grocery budget. That means shopping where you get the best savings and quality products even if that means shopping at a few Canadian grocery stores to get what you need on your grocery list. Which Canadian Grocery Stores do you prefer to do your grocery shopping at? Did I miss any important points about the grocery stores I listed that I should add? Let me know and I’ll add in the details. There wasn’t much that interested us in the grocery flyers this week so we didn’t purchase too much apart from produce and a few other bits. Sometimes there are weeks where grocery shopping isn’t in the cards and this week we almost called it a no-shop week. Almost, but failed. OMG! I spend more in a month than all of you do in a year! Mind you I’m fussy about buying organic and eat a LOT more meat than you guys. Any tips for a long haul truck driver? I have to shop where ever it’s convenient to park the rig, and I can only get small items because of storage space limits. Thanks for enlightening me on how foolish I’m being, I guess I’ll get the shopping guide. You forgot Super C under Metro Revisions. It’s the equivalent of Food Basics in Quebec. Also, instead of Air Miles you have the Metro & Moi program in Quebec. I meant Divisions, not revisions. Weekly Overview (your final thoughts) I came in under but still managed a few stock ups. I am good for body wash but it was on sale and there was a grocery rebate for it too! The bacon was on sale so I scored there with an Air Miles discount for 50% on one but I had a couple of sweet coupons from Juanita so I got 3 packs for less than $2.99 each!! All 3 packs are in the freezer right now waiting for the right time to have them. I foresee happy boys and hubby soon!! The Cheeze Whiz gets added to KD here to make it cheesier and the boys like it on baked potatoes. I’m not that big a fan of it, too salty, but I get outvoted so I buy on sale. Smart thinking…. I would never have thought to do that!! Yes, the coupons were from the Superbowl Promo. Our veggie burgers are Squash Chickpea Kale Veggie Burgers. They are a little time consuming to make but worth the effort! I make a double batch and freeze them. I didn’t bring much food for meals with us on our trip. I brought the snacks and we ate out for our meals. Getting ready for our trip to Cole Harbour this weekend. I baked 2 batches of muffins, banana bread, Rice Krispie Squares. I made popcorn chicken bowls, hamburgers, veggie burgers, huge veggie lentil soup, batch of pinto beans, quinoa burgers, pad thai & granola..We also had fresh fruit & veggie juices/smoothies. Great week on stocking up on clearance chicken breasts again. Also peppers were $1.88lb!!!! Sliced them all up and got them into 2 lg freezer bags! Bacon stash in the freezer is awesome!! Some people have 50-200 that they have gotten for free or .50C a pack! My Maple leaf/Scheinder rep at work gave me a bunch of coupons that go on the packaging that people were quote unquote stealing. He told me to make sure take a bunch for myself and anyone else in the dept that wanted them. A lovely perk of work! The price of bacon is going up .50c-$1 per package May 1 so better stock up now if you see a great sale. I have a tonne of coupons in my wallet that are my go to or my want to use while shopping if I see a great deal. So some are always in there good to go and sometimes I carry a few extras in my purse. I probably spend 30 minutes to an hour every week looking at flyers, writing my wish list and prepping coupons- not too bad when it really pays off. I do wish I had more space to organise all my coupons instead of the dining room table that we eat at so I am always moving things around. Thanks for the heads up about the bacon. It’s already pricey as it is and 375g doesn’t go too far as opposed to the 500G packs. PC still carries 500g. Awesome you get coupons!! I think I saw that peelie on the pre-cooked bacon? The maple leaf rep told me last week they will be running another coupon promo soon of buy2get1free to help ease the rise in bacon prices. This is hubby’s first grocery shop in the US for 2016. Most of what he went for was vitamins and medications so the groceries are less than usual. 1 x Hot Cross Buns (12’s) $2.99 – hubby’s Easter treat! OUR CURRENT TOTAL UNUSED RESERVES ARE $880.17. This means the $936.51 that we carried forward from 2015 PLUS AN ADDITIONAL $268.58 that we have added in 2016, LESS $324.92 that we have drawn out for use in 2016. Really trying to concentrate on using fresh and frozen things up. Going to need space in the fridge and freezer for entertaining my extended family of 12 for Easter. A bigger week than we have had in a while, but we needed plenty and some great deals. We haven’t had ham in so long, this will be lovely, it was half price and the perfect size for us. Lots of fresh stuff and price matches. We also were out of bacon and it’s nice to have two packages again. We didn’t spend 3.50 this week and that comes off of the overspend we are still working on eliminating. Step by step we are getting there. However, as the week has gone on, we didn’t have enough fresh foods. Kiddo was looking for more bananas by Friday and the mandarins were gone very quickly. Tomatoes and grapes were used in lunches and gone quickly. Oh well, hopefully I will target it better this coming week. Getting apples will be a big help if I can. Since we were out of apples, everyone was reaching for bananas quicker. 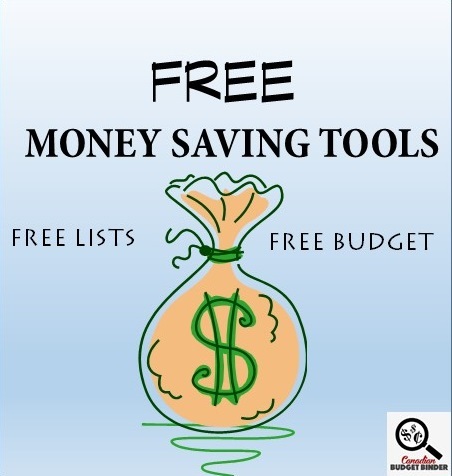 I am a coupon user and this has helped me in lessening the grocery expenses. Thanks for sharing the link for free coupons. Yay! The most products are what I buy. Because of time restraints I try and stick to one grocery shop per week. I alternate between No Frills and Safeway per week. Safeway can have very good prices when you focus on specials combined with their on line deals. I also prefer their meats and produce. I often say shop where you are most comfortable with the price and product quality. •	Weekly Overview : Good PC points deal this week! Butter was a great price, my store was out of the sale butter so I asked if they would substitute the No name butter for the same price, they did, and I got PC points for the No name brand! I also received PC points for my favorite 4 cheese PC pasta sauce. Pasta was a good price too. So we had : Vegetarian Tomato sauce with pasta with Garlic bread and salad, Chicken, chickpea, spinach curry and rice, Macaroni and cheese and spinach salad, Salsa crock pot chicken and rice, with broccoli, Vegetarian chili, ham & mushroom quiche and salad, Chinese fried rice and oriental salad. I also made banana bread and coconut oatmeal cookies. So For next week I have a choice of- curried chicken and rice, spaghetti, macaroni, Lentil soup, sausage and peroghies, Chicken stirfry, Arugula and bean salad + potato salad. About 14 years ago, I changed grocery stores from Zehrs to No Frills (back when I shopped only one store.) I saw an immediate decrease in my bill of $50 per week. I wondered if it was due to not having all those specialty items in my cart! Two years ago I visited No Frills exclusively and didn’t find the need to go anywhere else. I was happy with my experience. Today, I go to No Frills first, but I’ve added other stores to my shopping experience. I’m more aware of prices, and balance sales with quality and variety. My other favourite stores are Shoppers, Giant Tiger, Walmart. Occasionally, I visit Zehrs, Metro, Food Basics and Foodland for items not available at the first stores. We’ve been going to the store closest to us more lately out of convenience even though it’s a little bit more expensive on some items. With twin toddlers though we just have to take what we can get sometimes. My tip though it to buy some items at Costco, where you will find prices on many items that cannot be touched by any traditional grocery store. Some items you must buy in bulk, however other items like Milk, cream, and bread are just plain less expensive. Overview: I’m slowly making a dent in the overage. Most of what was needed is the staples which is hard to ignore but I lucked out and picked quite many of them on sale. I leave the baking to my daughter even though I do bake some. Starting this Saturday, I’m back at the market so my weekends will be limited as to what I do around the house. We might make a trip to check out the market this year. What are the hours of the St. Jaccob’s Market and what days are best to go? As far as the best day, we’ll Saturday will have all the outdoor vendors but can be very busy. Tuesday is the best day to see the products but not all the outdoor vendors are there. Thursday is right in the middle for how busy it is but again not all outdoor vendors are there. All the indoor vendors are there year round. I can’t say what the best day is for you because it depends on how much you want to experience and want to see. If you want to see all that it offers, I would say Saturdays. If you don’t want to deal with the crowds, then Tuesdays or Thursdays would be better. Thanks for the info for the St. Jacobs market Dee. I want the full on experience with a toddler lol… I’m guessing we may come during the week then. I’m looking forward to going.